If we’re talking about production duos with a stellar reputation, two of the first words from our mouths would be ‘Session Victim‘. Since 2012, Germans Hauke Freer and Matthias Reiling have been at the wheel, steering tunes to magical places. Like Lebron James’ time at the Miami Heat, they’re a team that won’t let you down. 2018 was no different, consisting of international gigs, flipping tracks for the likes of KiNK, Folamour and Nebraska…as well as launching their very own vinyl-only label ‘Pen & Paper’, in their tenth year as a joint operation. The ‘Dawn’ EP is the first we’ve heard from S.V in 2019 and like we mentioned above, there was never any doubt it’d be dope! Out through Delusions of Grandeur, this one’s on a late-night tilt, with all tracks spawning from their Hamburg studio. We’ve been gifted the suitably titled ‘Hear The Sun’ with vocoder expertise from Iron Curtis (give his recent ‘Upstream Colour’ LP a listen). 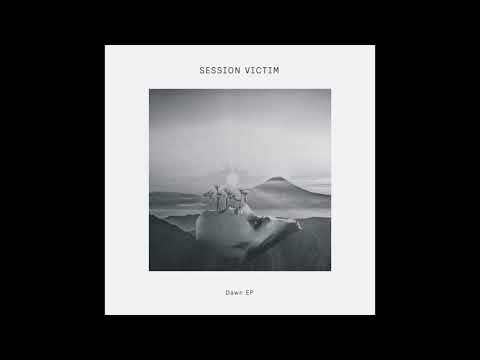 What’s grand about this track is it sounds so Session Victim. At 7:30, ‘Hear The Sun’ teases over the trip, flirting our ears with a bunch of beautiful instruments. It could be Mexico, Australia or on the shores of Croatia, anywhere in the world that accommodates a beach party can certainly host this number. You can get your hot little hands on the EP come February 8th!